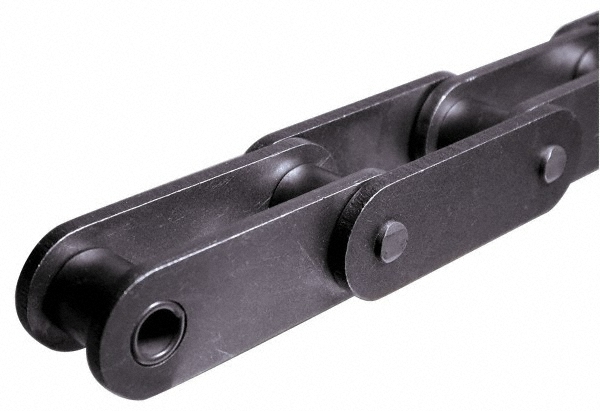 AMEC single strand ANSI standard roller chain can be used to run conveyors or almost any kind of power machinery. This section is for single strand and all of this chain is made out of carbon steel. The chain sold in this section comes in 10 FT boxes. We also sell chain in 50 and 100 FT reels. Please call us or send an RFQ if you require reel lengths. Check out our sprockets and shafting and keyway sections. If you have any questions Contact Us.